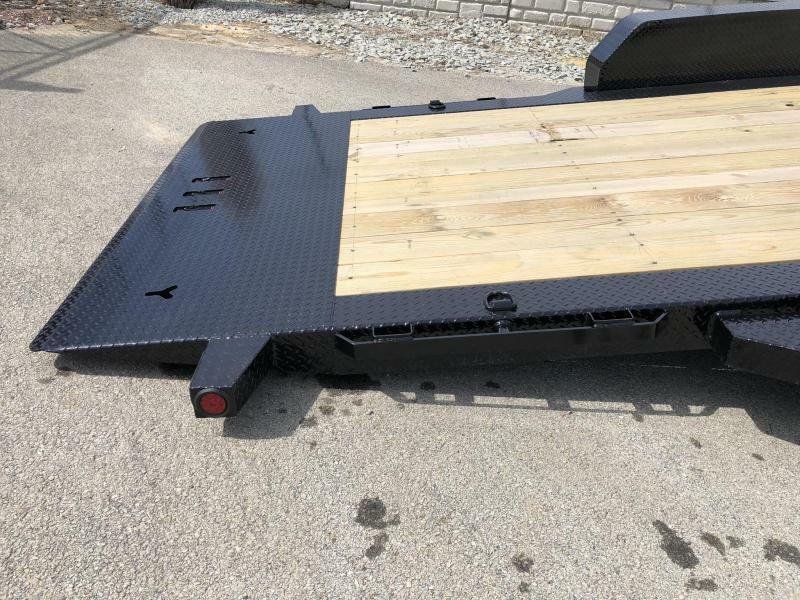 THIS UNIT IS A 16+4'. 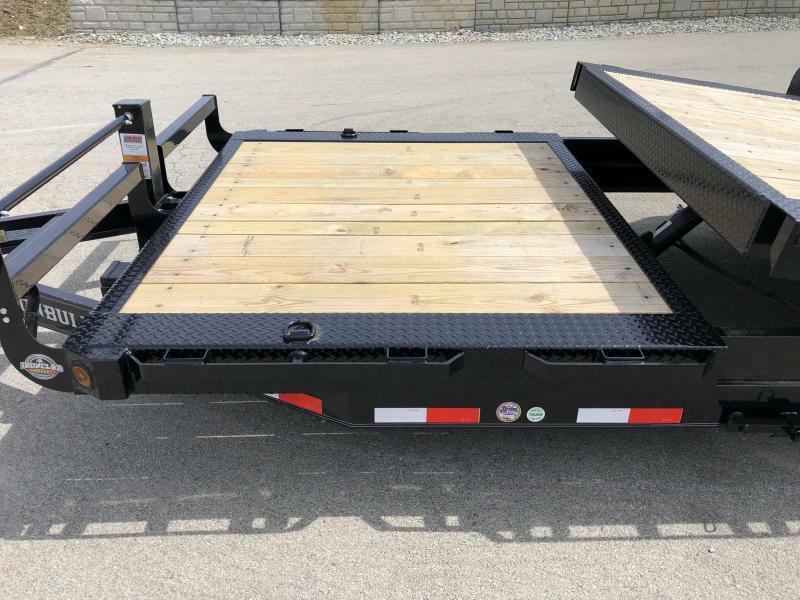 IT HAS 16' OF TILT (ACTUALLY 17' AS ABOUT 1' OF KNIFE EDGE ISN'T COUNTED) AND A 4' STATIONARY DECK UP FRONT. 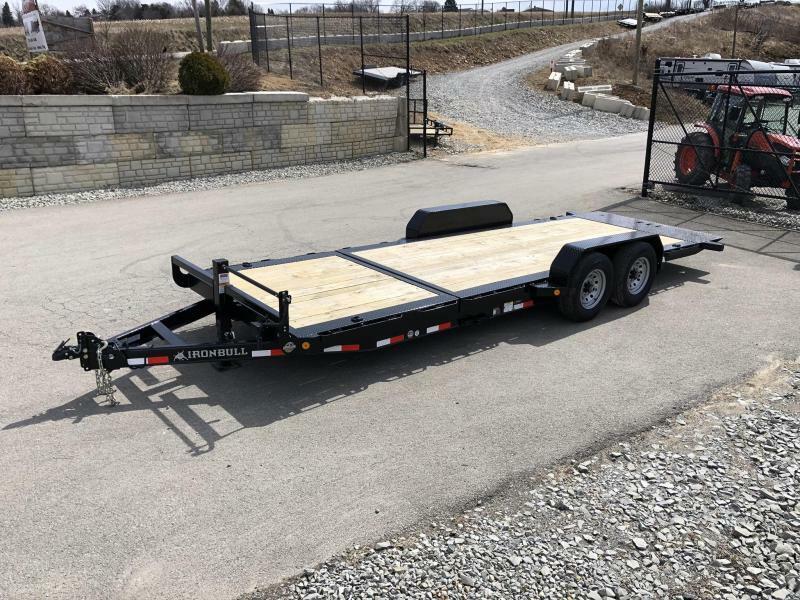 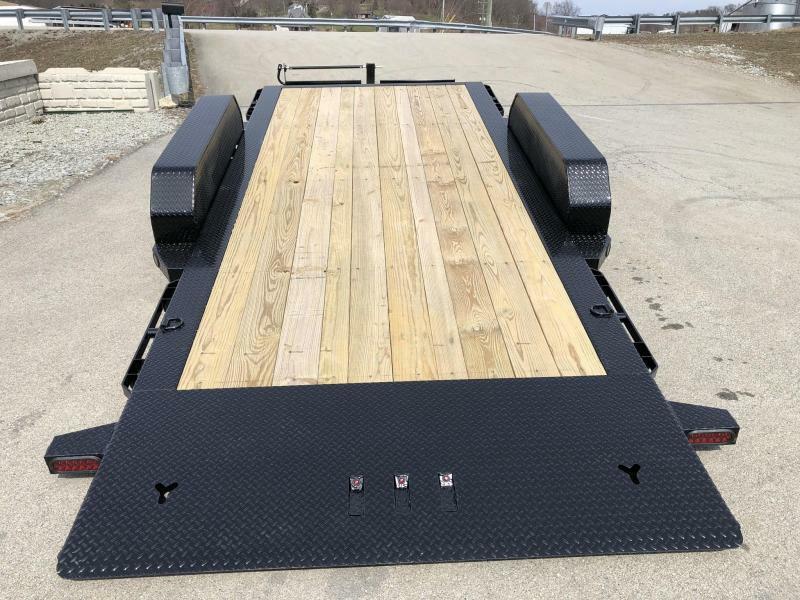 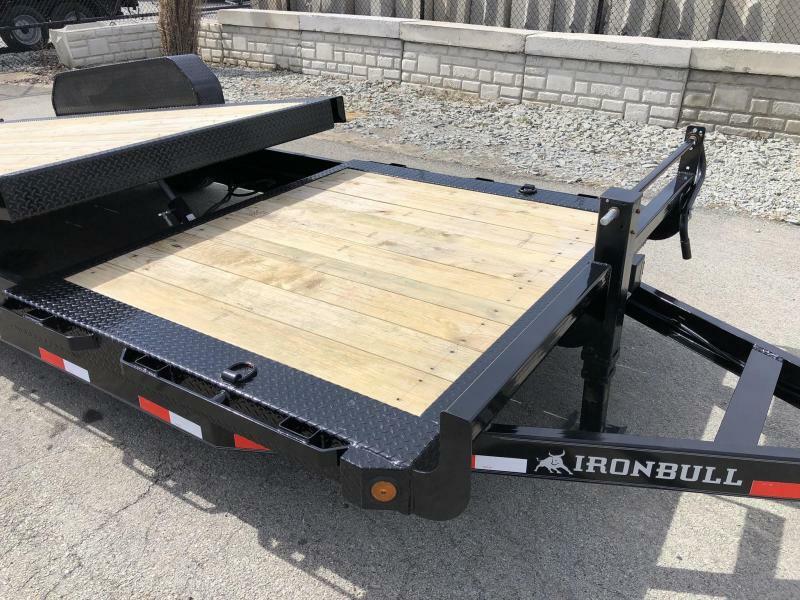 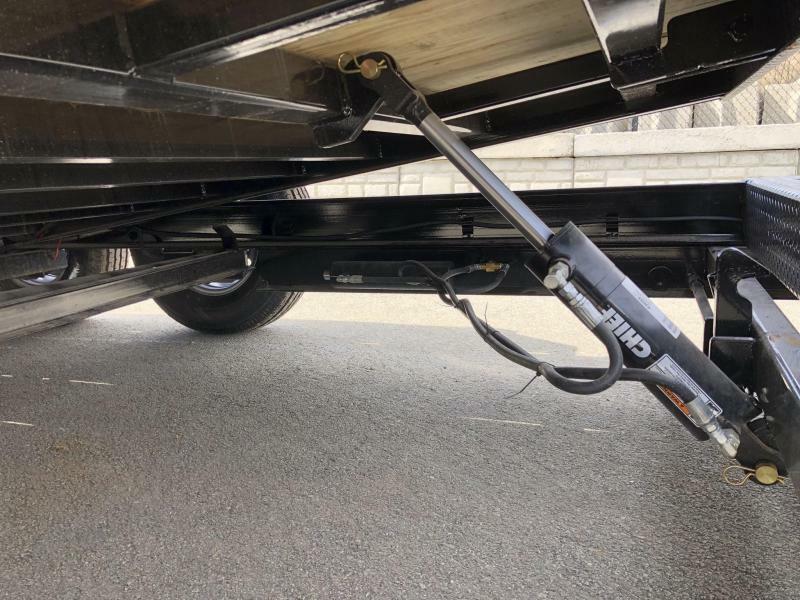 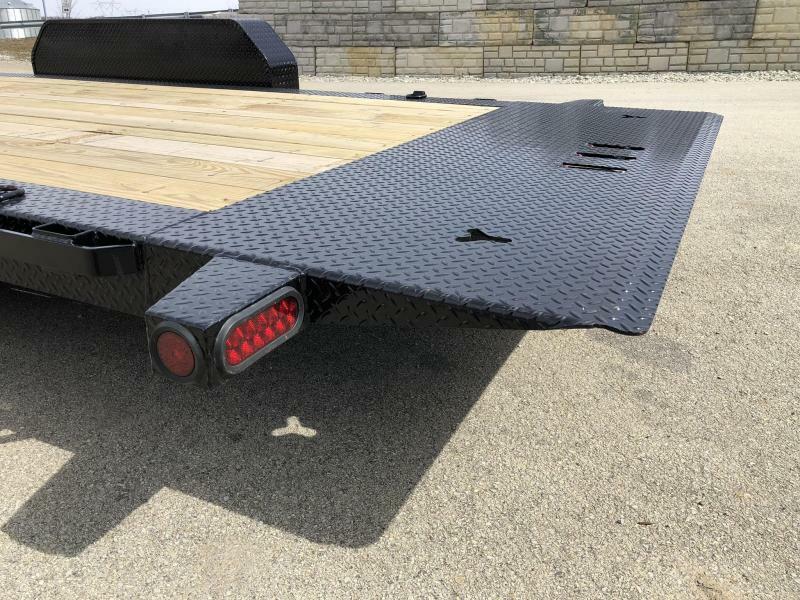 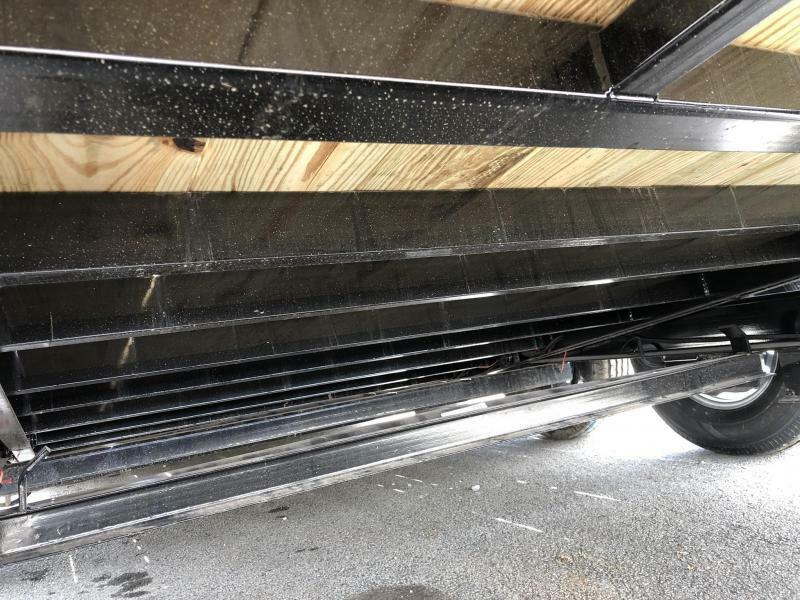 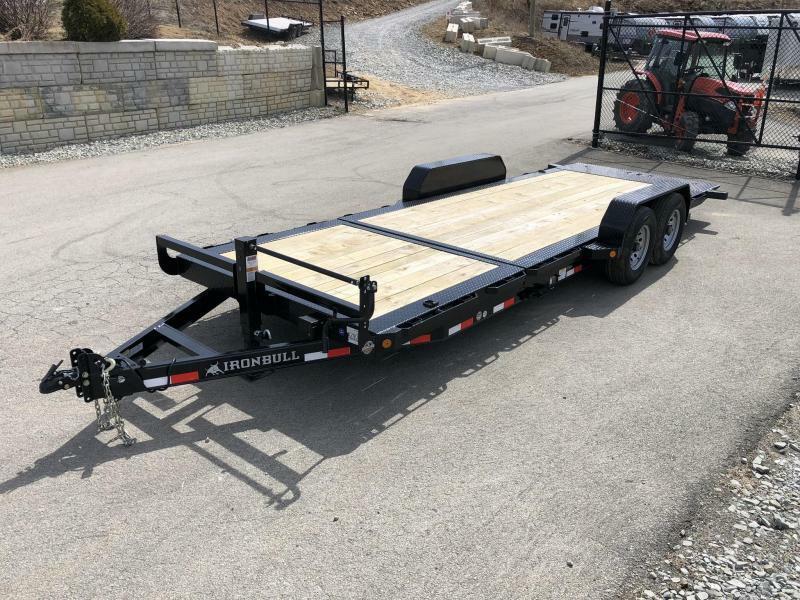 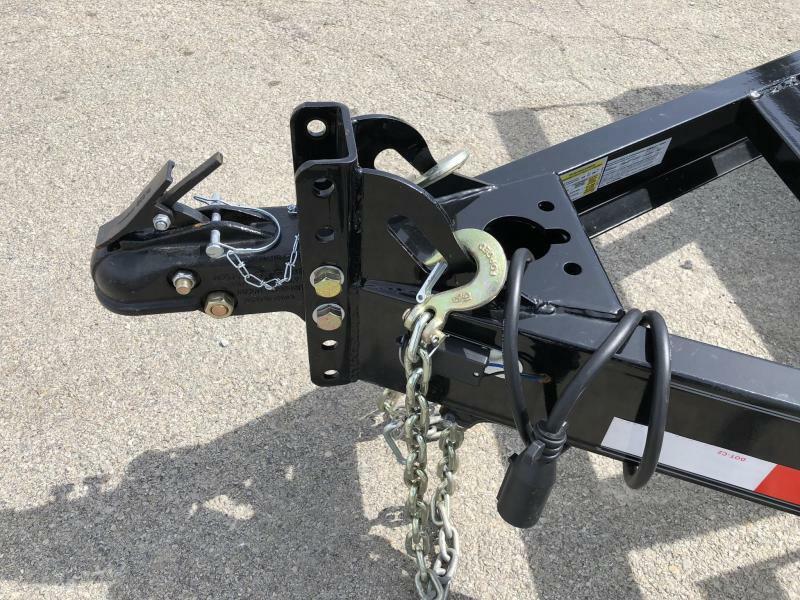 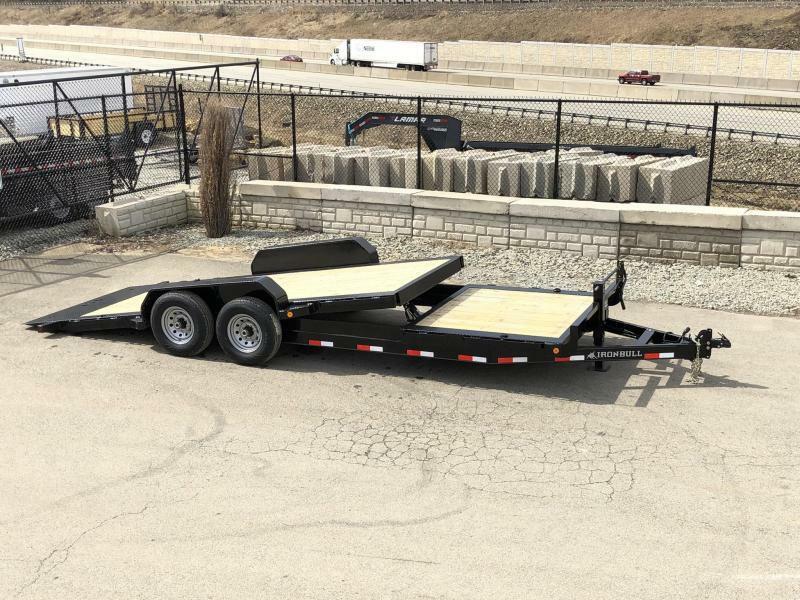 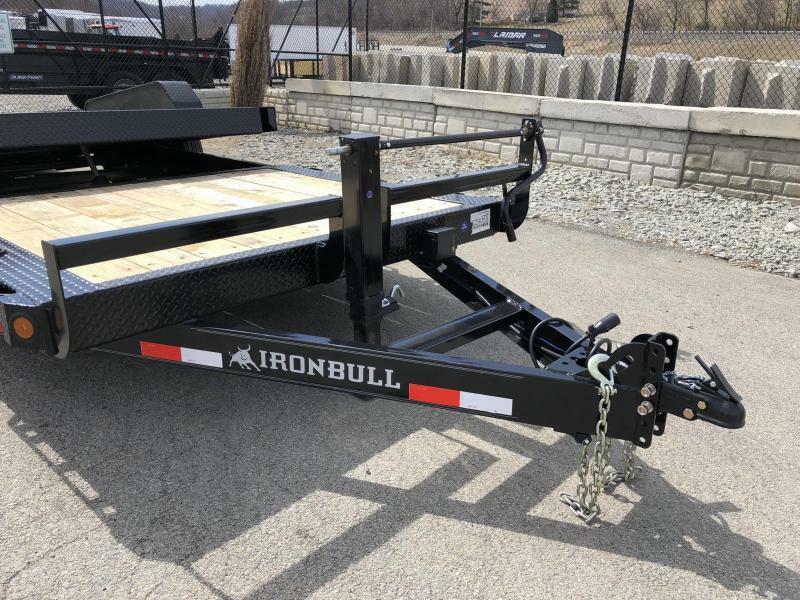 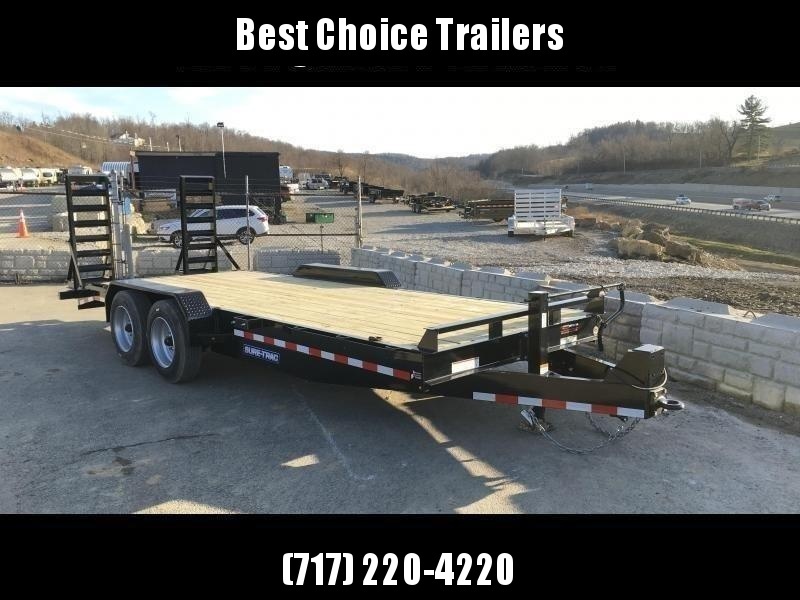 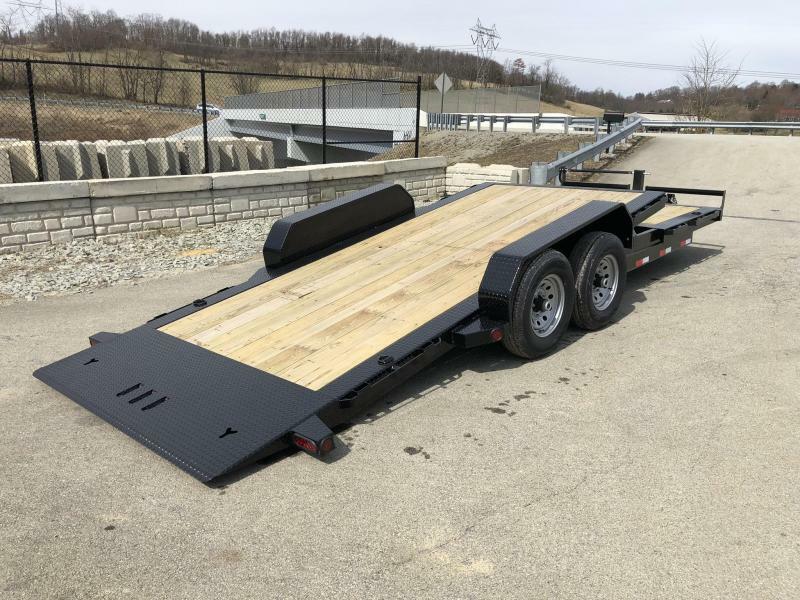 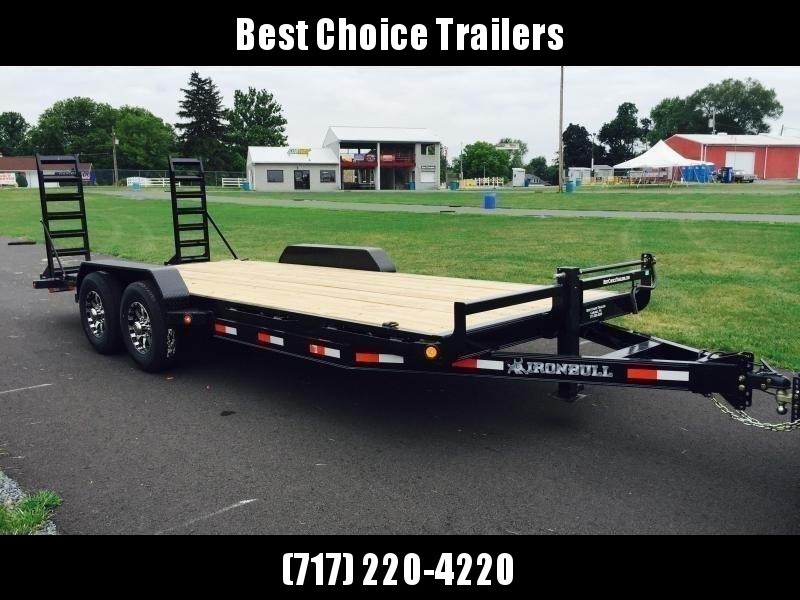 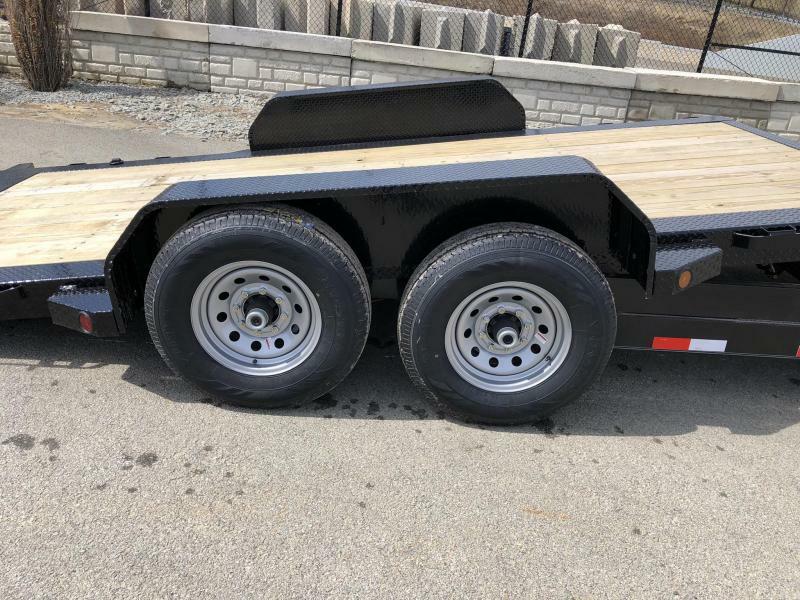 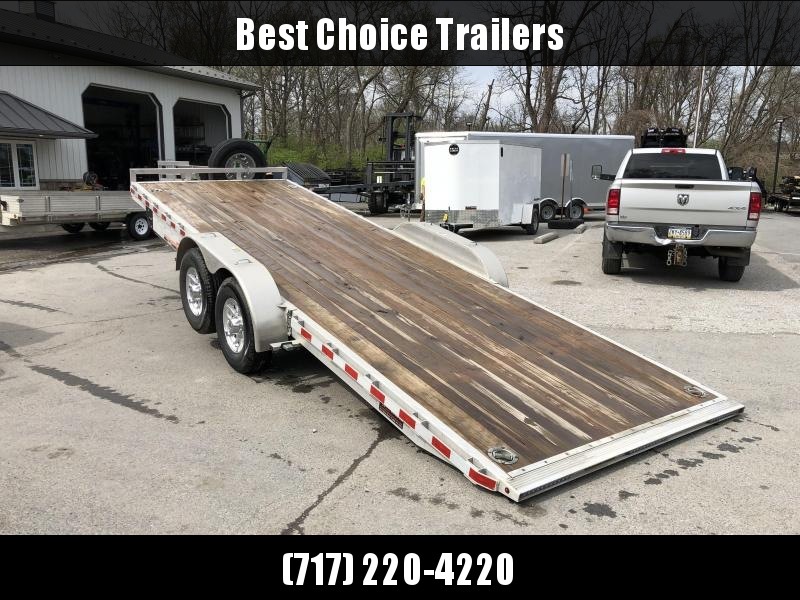 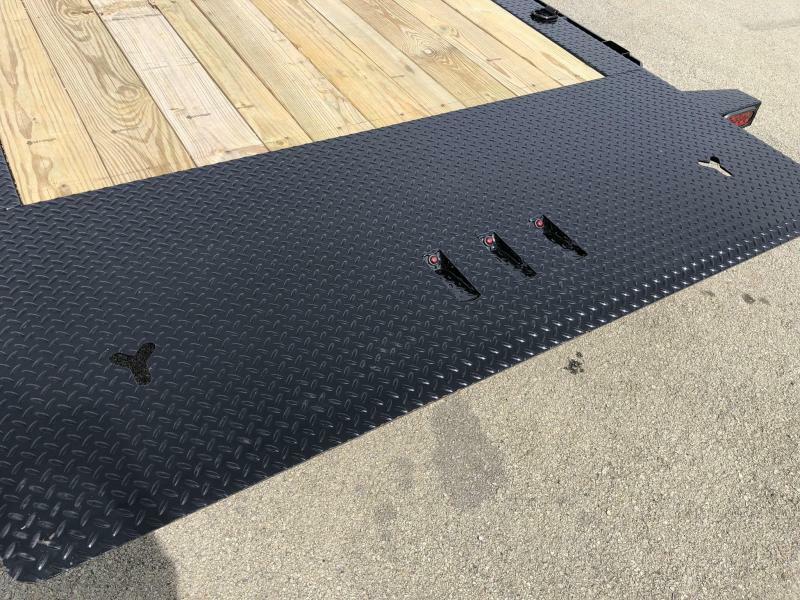 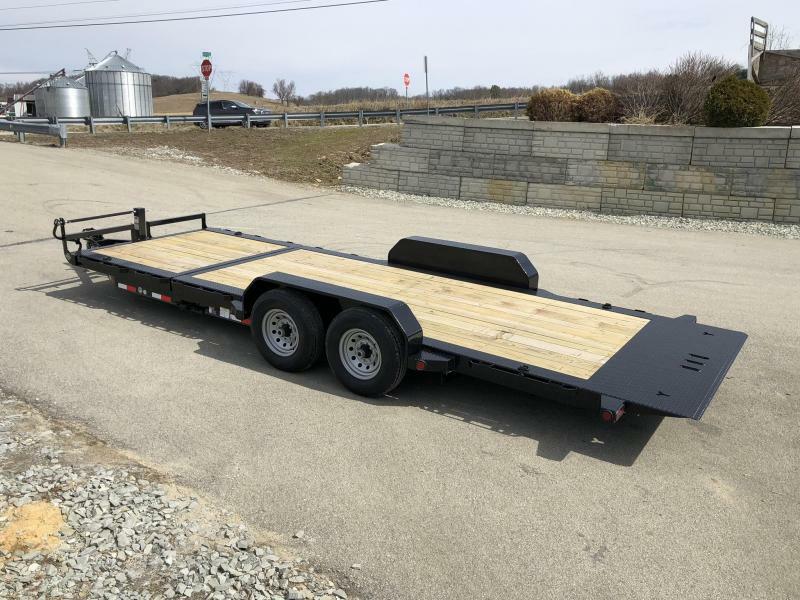 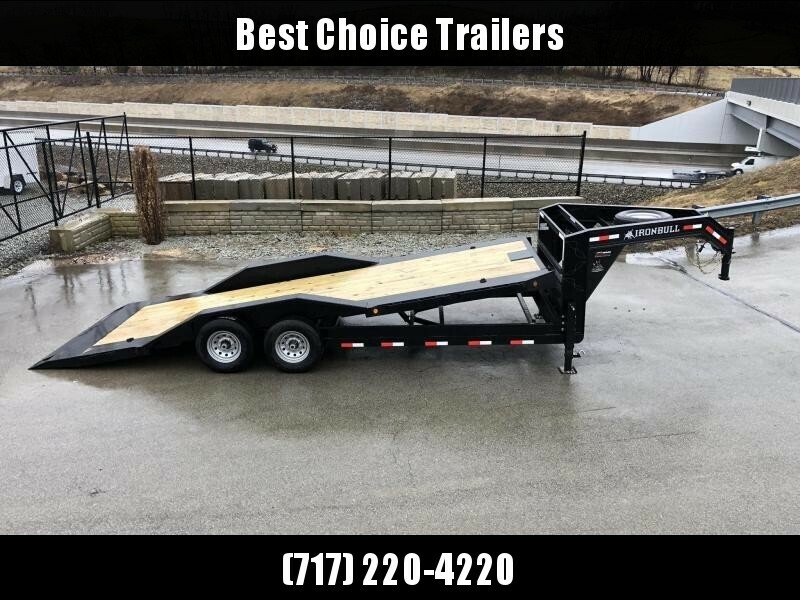 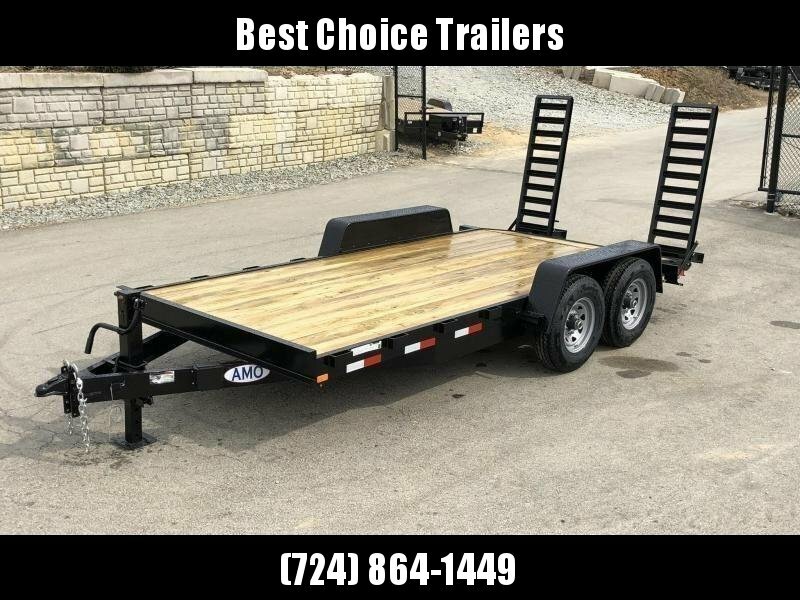 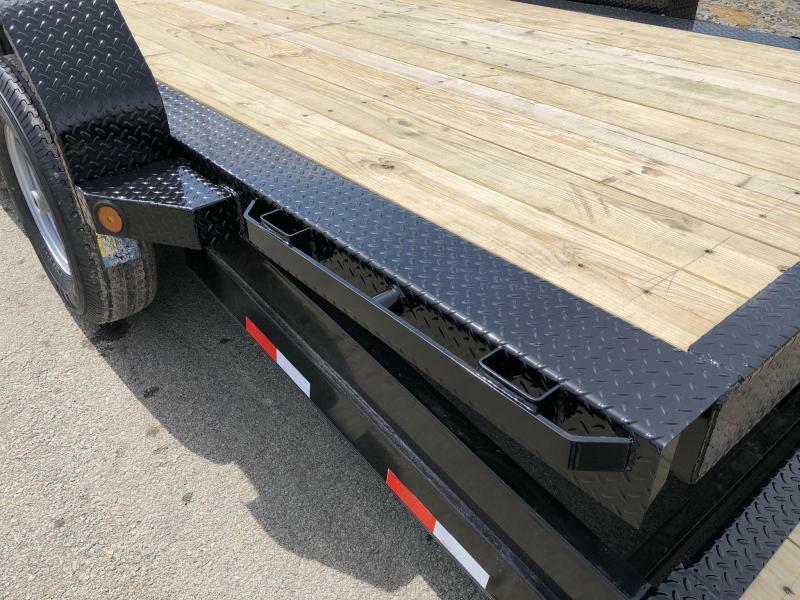 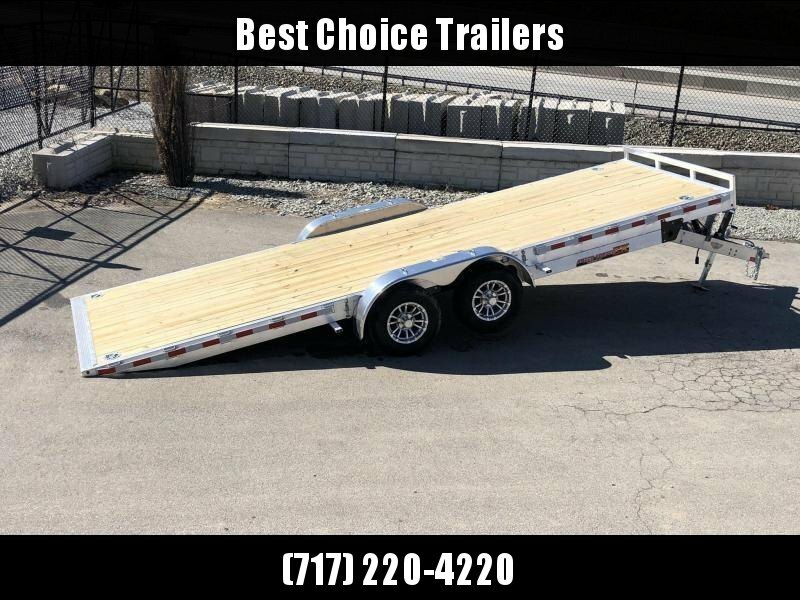 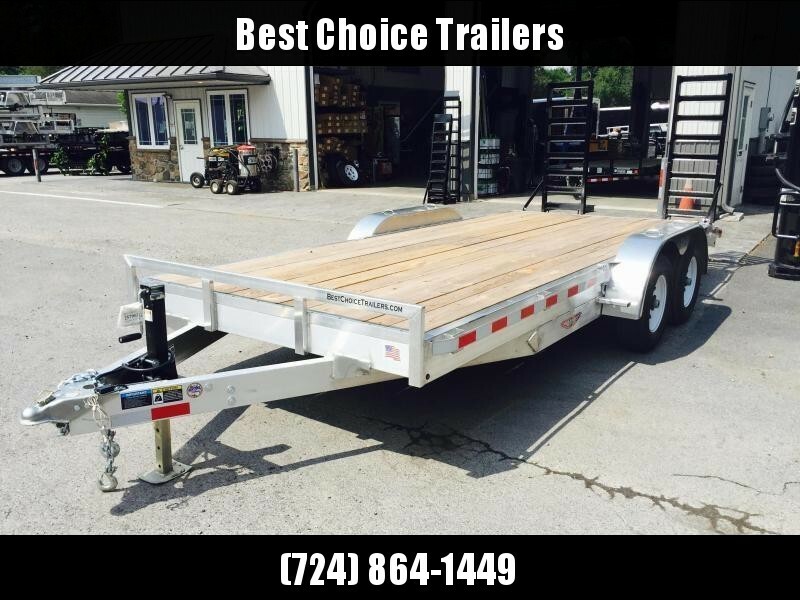 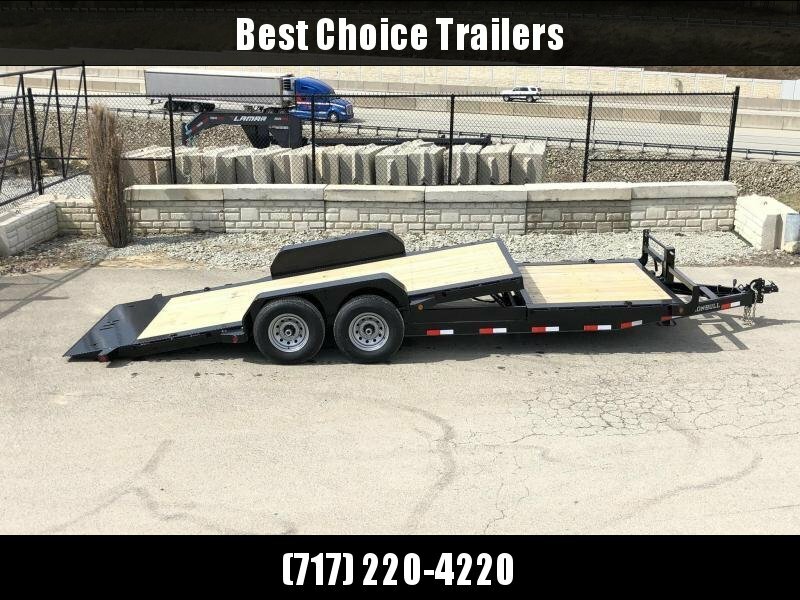 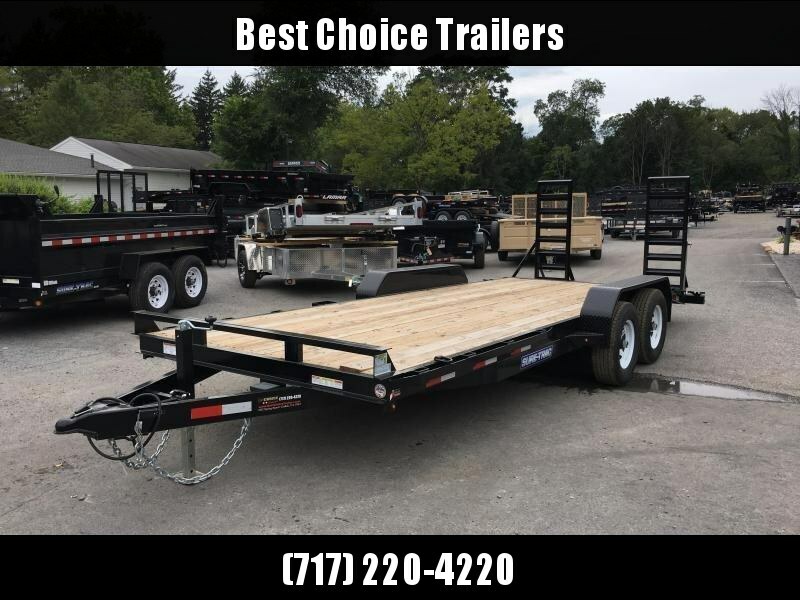 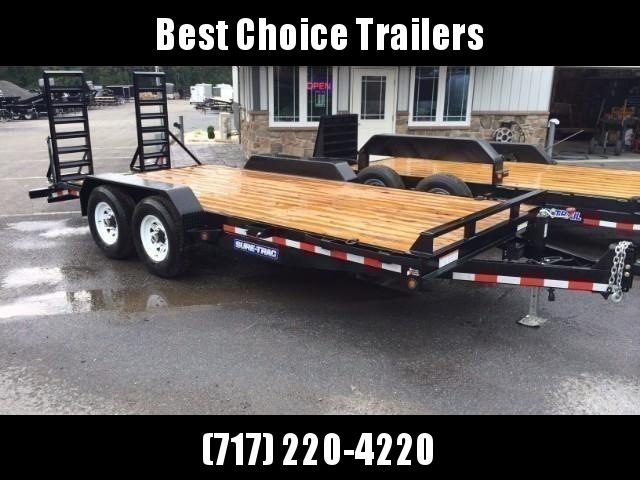 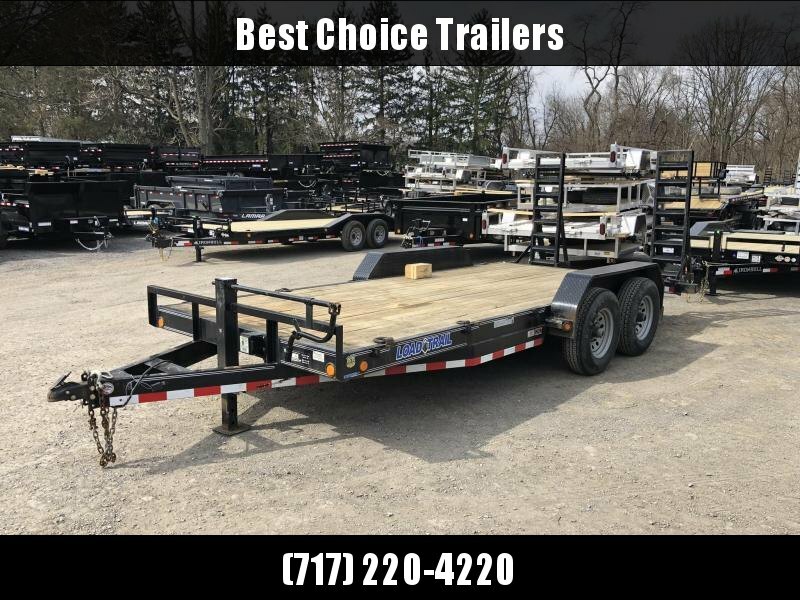 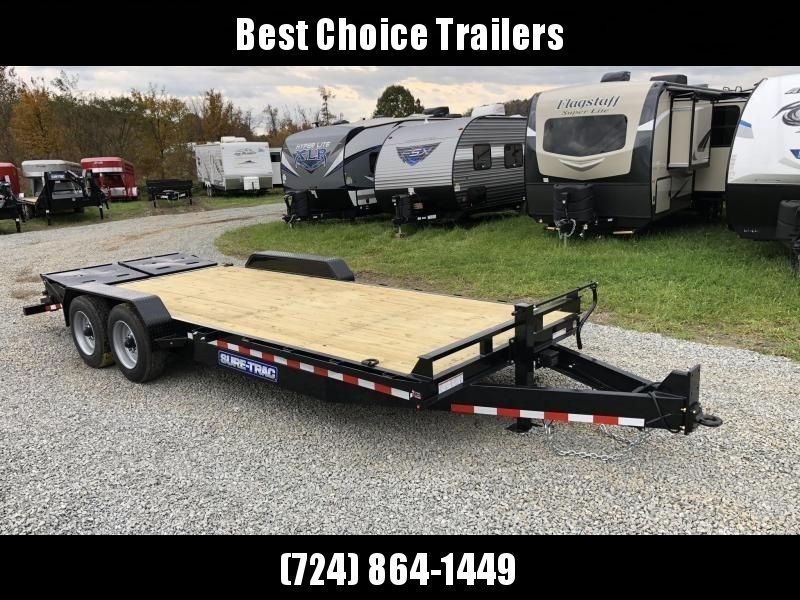 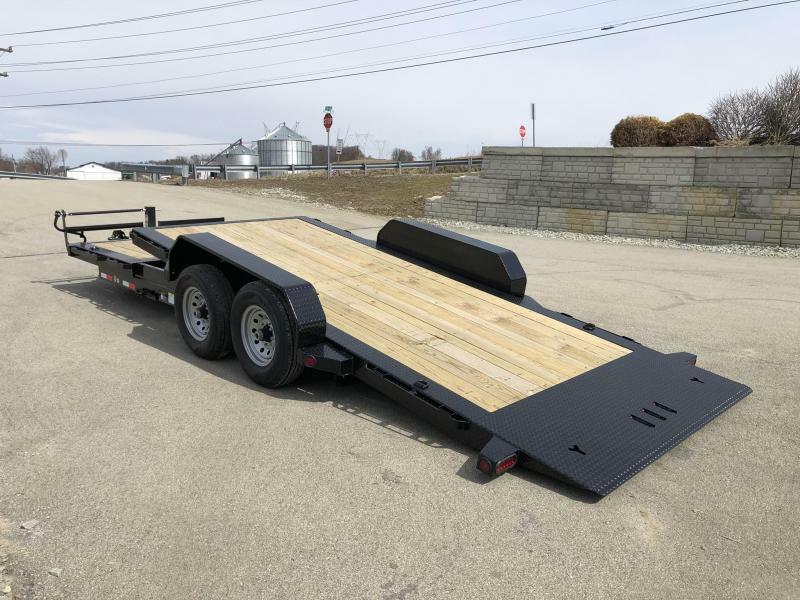 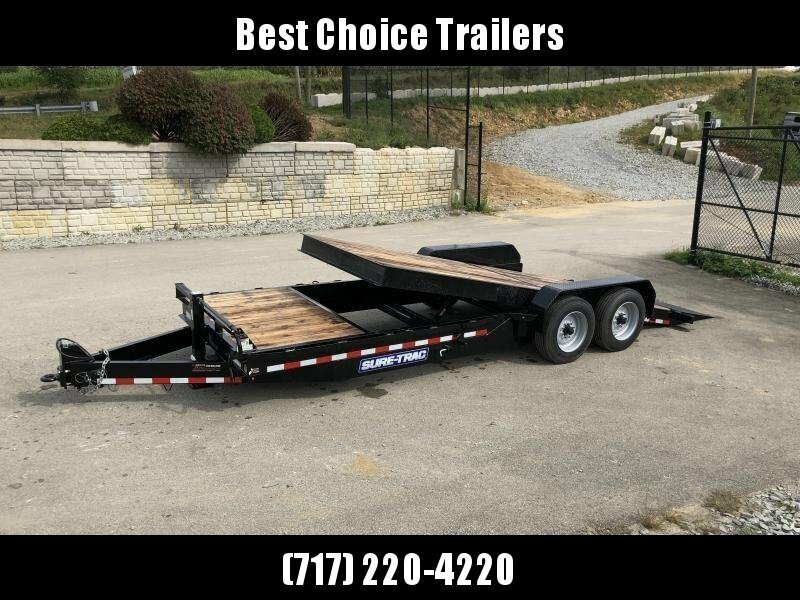 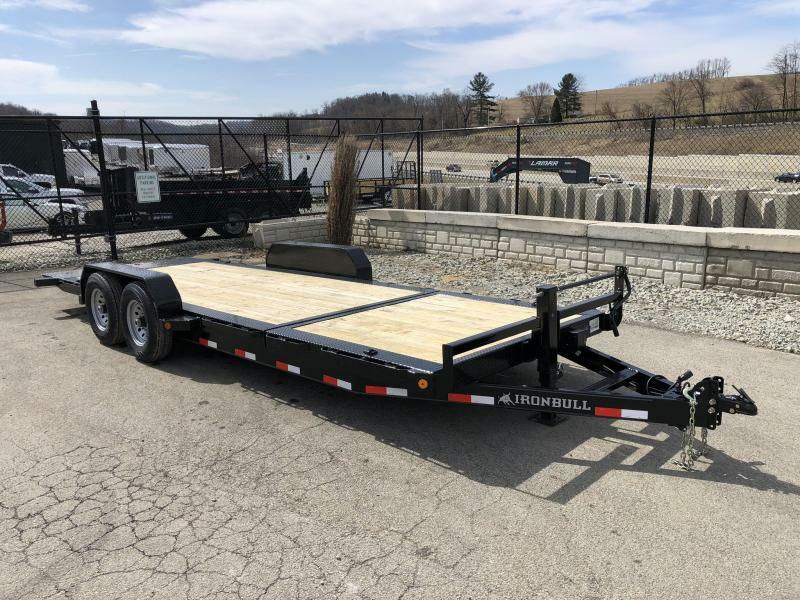 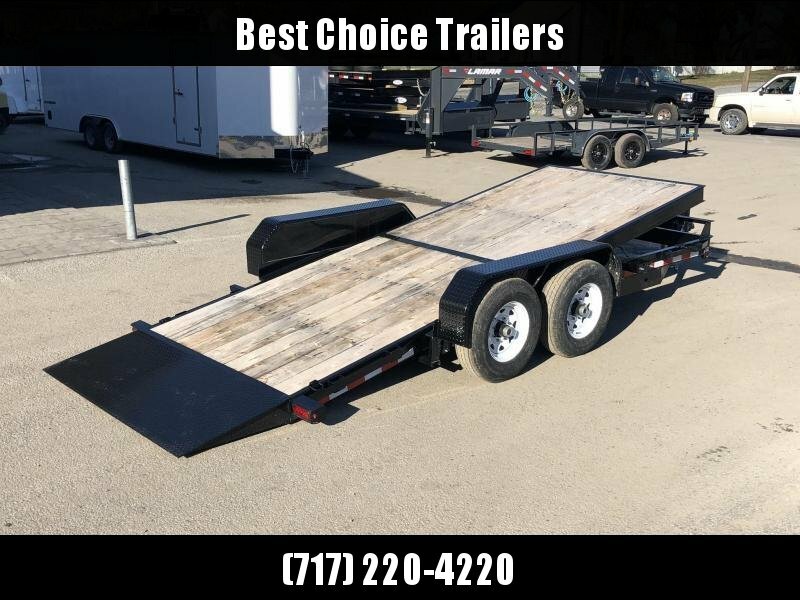 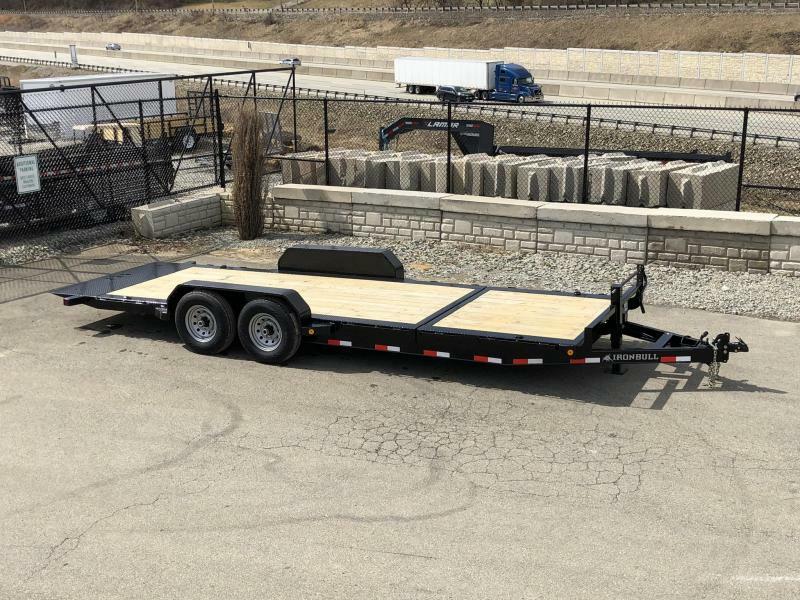 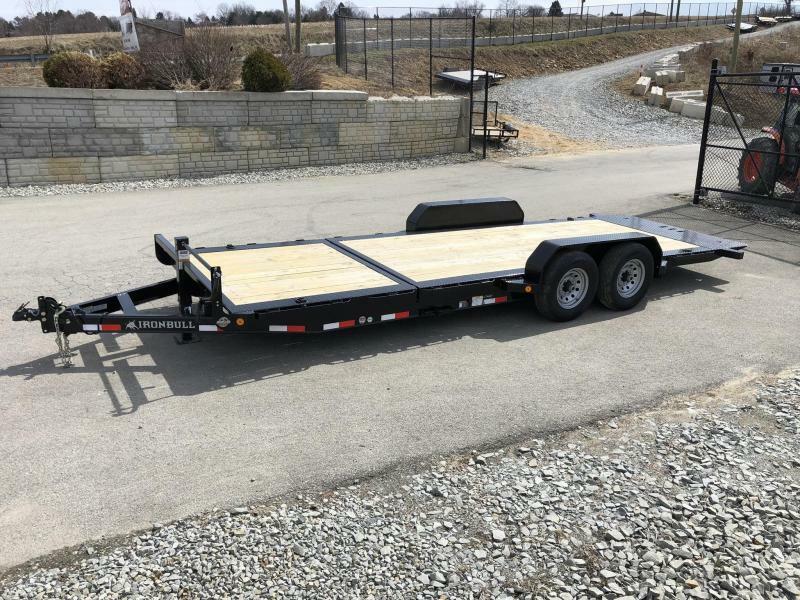 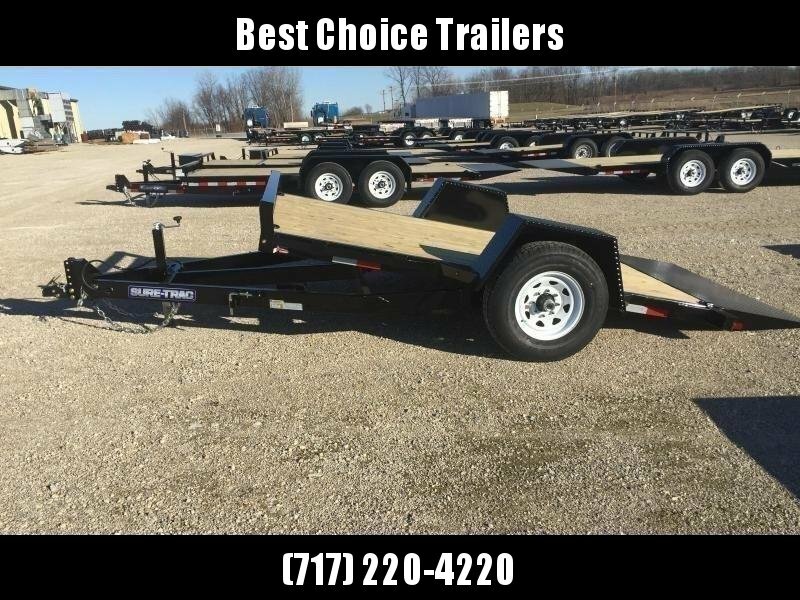 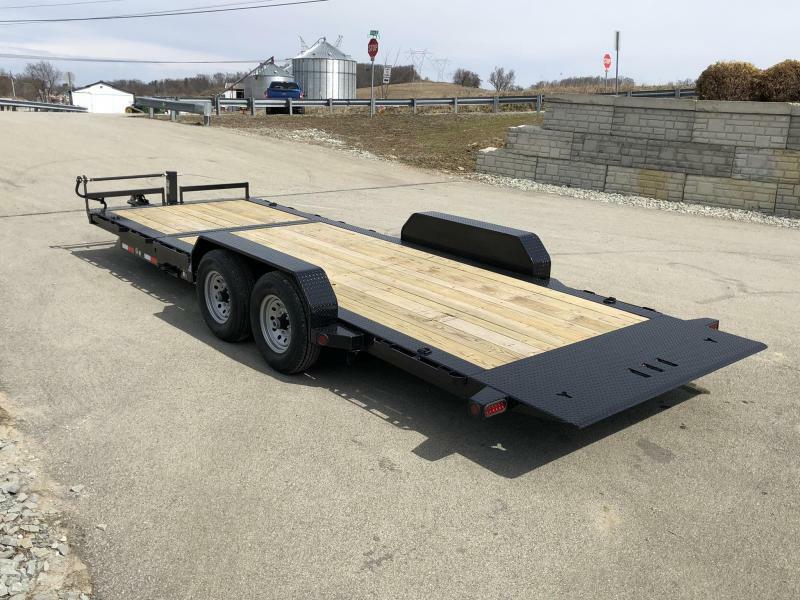 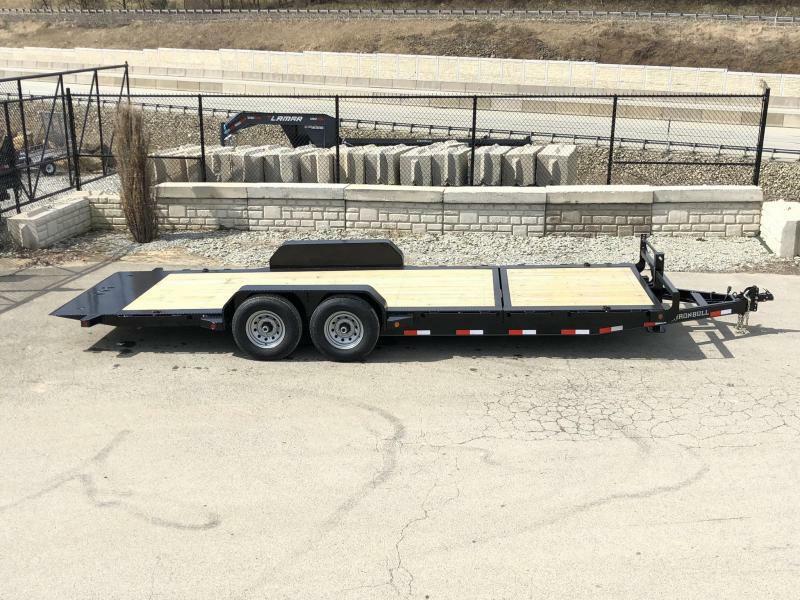 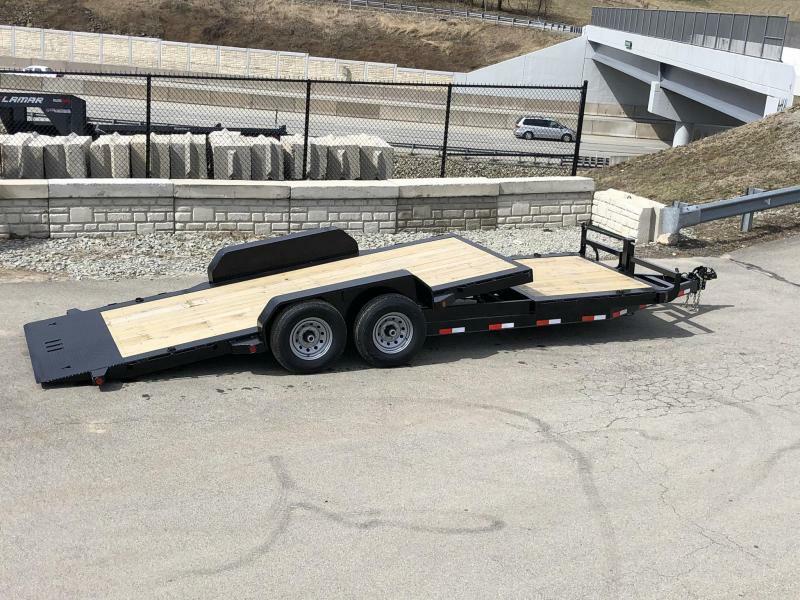 A few key features: Torsion suspension, 12K jack, stop value (allows you to control the flow of the trailer - lock it up, down, or partway between), removable fenders, Dexter axles, super low nestled bed frame with drop axles, tons of tie downs.